Ulu city and Ninja Castle are now LIVE on our server for open beta. Explore the new areas and leave us feedback! More info on our recent update HERE! [World Event] Beach Party PQ! Grab some friends and head over to our beach bash PQ! It's been over a year since our new world has opened, and we're celebrating! [World Event and Server Update] Bringing in the New Year! We're greeting the new year with a massive update! Check out the Event details here! Read about our end-of-year update here! Need help with our new patcher? Get it here! It's time to GET SPOOKY Maple Destiny! BossyBlossom has won first place in our recent forum event! Check out the other amazing winners here! 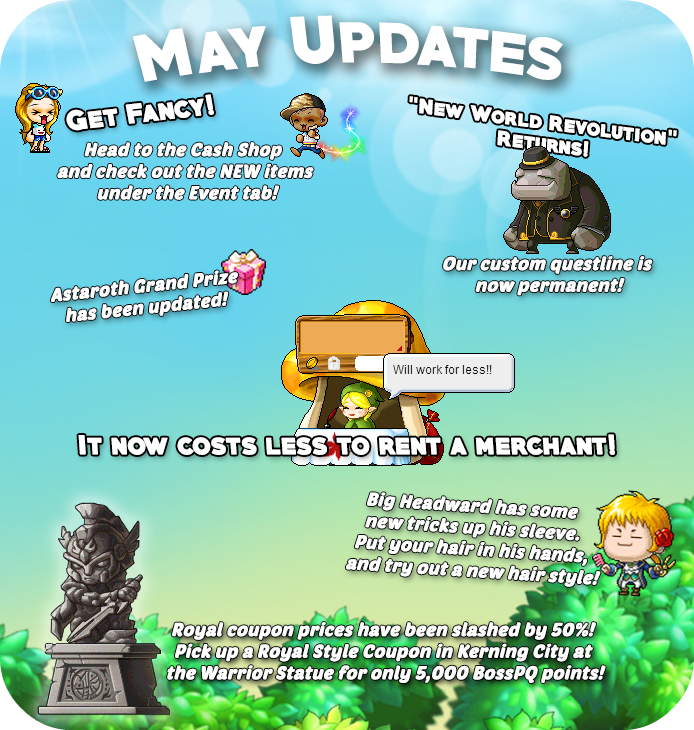 [Server Update] NX cash and discounts! Get the patch notes here!